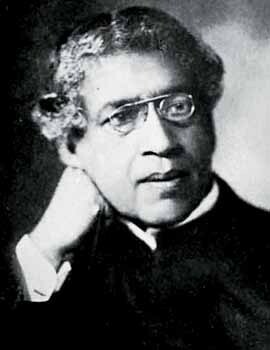 Sir Jagadish Chandra Bose, remembered for his invaluable contributions to the scientific world was born on the 30th of November 1858 in Faridpur in Dacca District. His mother, Abala Bose was a tenderhearted and affectionate woman, and his father, Bhagawanchandra Bose, the Deputy Magistrate of Faridpur, was a man of excellent qualities. Right from his school days, Jagadish Chandra was most interested in Biology (the science of life). But Father Lafont, a famous Professor of Physics, inspired in Bose a great interest in the science of Physics and Bose became his favourite student. Botany, the science of plants, still attracted him much. J.C.Bose went to England for studying medicine and then Natural Science in Christ Church College, Cambridge. He passed the Tripos Examination with distinction and the Bachelor of Science Examination of London University. He was the first professionally trained mainstream Indian scientist to be elected a fellow of the prestigious Royal Society of London. He had invented many useful instruments, for example he developed an instrument that showed the reaction of an organism when excited by electricity on a graph. He proved through experiments that when outside stimulus is applied to plants, they respond to it. P. C. Ray reminded the audience assembled in 1916 to greet Bose on his knighthood, that “If he had taken out patents for the apparatus and instruments which he had invented, he could have made millions by their sale”. This great scientist passed away in 1937. 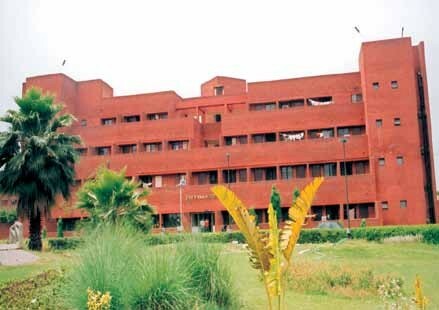 Sir J. C. Bose Hostel was inaugurated in the year 1999. It has the capacity to accommodate nearly 178 boys.